Nice with a bit of activism and rationality on a Saturday. 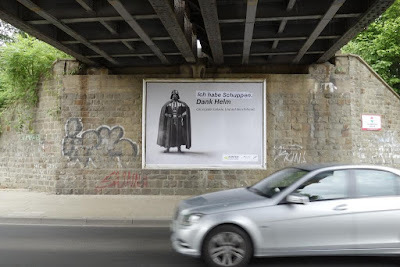 Thanks to our reader Jochen, who sent us some photos from the streets of Germany in reaction to a campaign from the German Ministry of Transport, above. 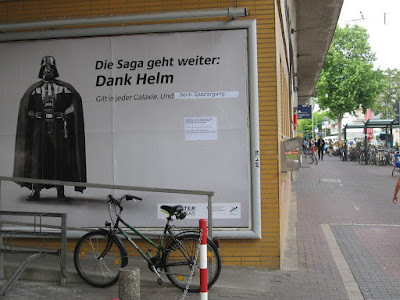 Next to a photo of Darth Vader the text reads: "The saga continues, thanks to the helmet. Works in every galaxy. And on the bicycle." This set cyclists and activists to task. 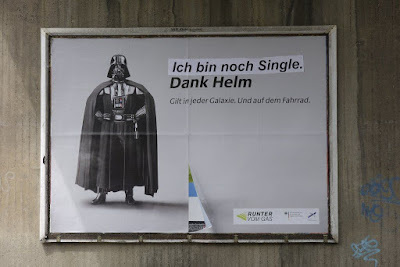 Billboard in Bonn: "Now I'm single... thanks, helmet." In a country where only about 10% of cyclists wear plastic hats, the Ministry of Transport decided to chuck some taxpayer money into a campaign. A lazy move from politicans whose ignorance about the importance of encouraging cycling, building infrastructure and the health benefits of a cycling population has now been broadcast to the planet. They are basically using taxpayer money to advertise how ignorant they are. There's the first problem with their campaign. "Costume designer John Mollo took it from there, fusing elements of various real-life uniforms associated with war and evil. 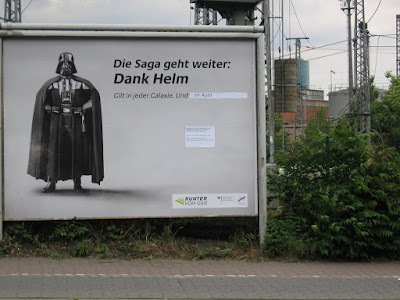 To design Vader’s infamous black helmet, Mollo looked to the black, shiny headgear Nazis wore during WWII." 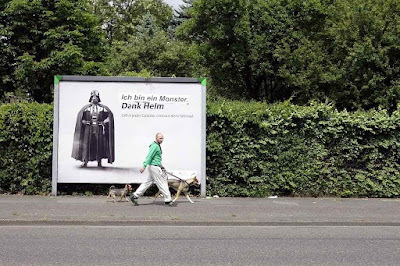 One might argue that Mr Vader is not exactly an appropriate role model. One of the first things his mentor, Mr Hitler, did when assuming power was make Germany's largest cyclist organisation illegal. (they were also socialists, which was handy). 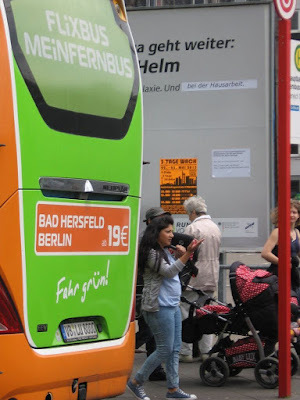 "[...] from the point of view of restrictiveness, even the official promotion of helmets may have negative consequences for bicycle use, and that to prevent helmets having a negative effect on the use of bicycles, the best approach is to leave the promotion of helmet wear to manufacturers and shopkeepers. The report entitled 'Head Injuries and Helmet Law for Cyclists' by Dorothy L. Robinson, Bicycle Research report No. 81 (March 1997) shows that the main effect of the introduction of the general helmet law for cyclists in Australia was a drop in bicycle use." Be sure to check www.motoringhelmet.com for more reasons why driving with a helmet is a good idea. It links to our blog articles about the subject. Imagine. The Ministry of Transport in Europe's largest country completely and utterly Ignoring the Bull in Society's China Shop. The saga continues in Bonn. 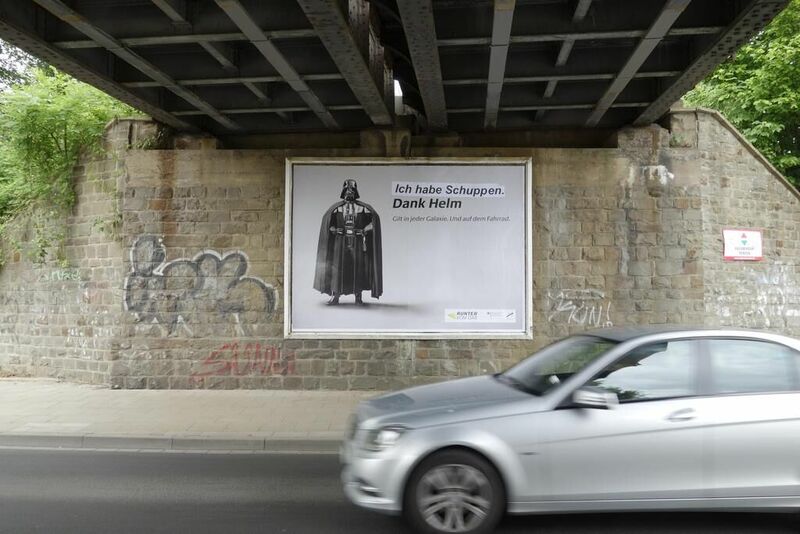 This billboard now reads: "I have dandruff. 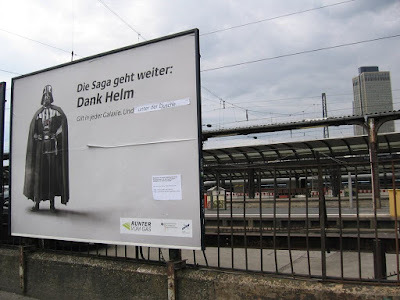 Thank you, helmet." Bonn: "I am a monster. Thanks, helmet." 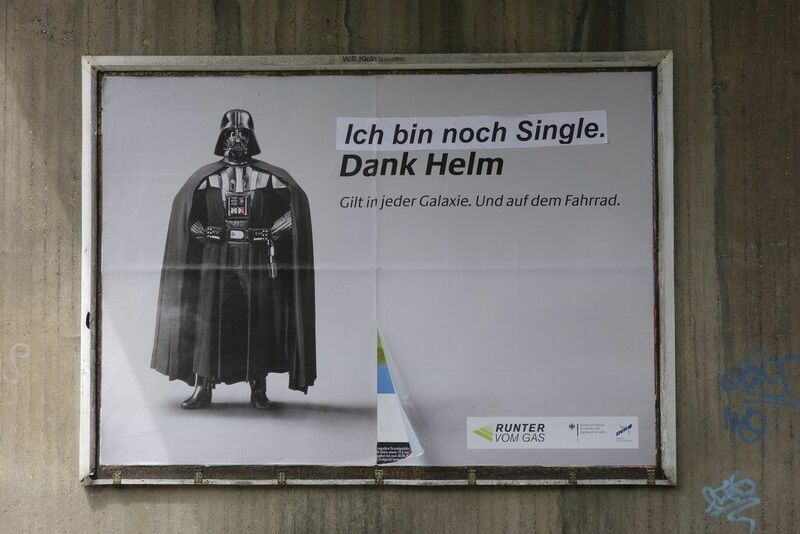 And from Frankfurt: "Works in every galaxy. And on stairs." 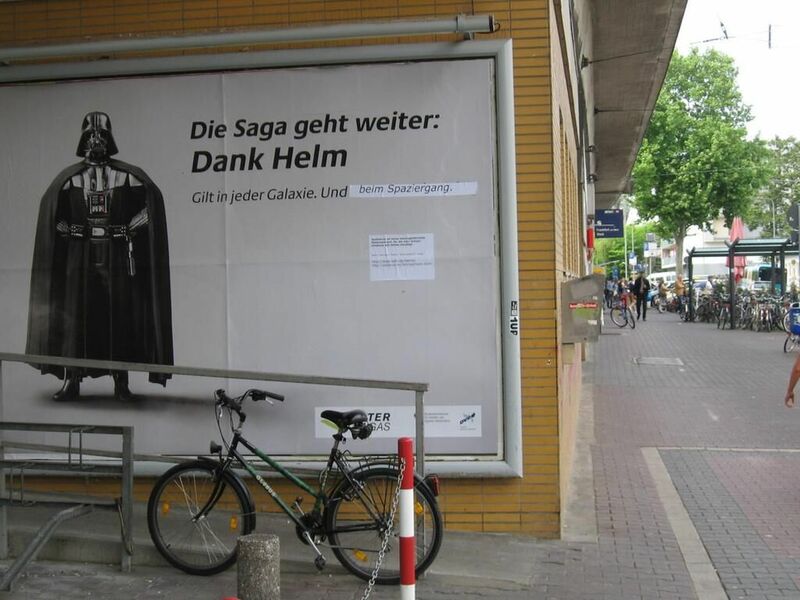 Frankfurt: "Works in every galaxy. And in the shower." Frankfurt: "Works in every galaxy. And while doing housework." Frankfurt: "Works in every galaxy. And in cars." 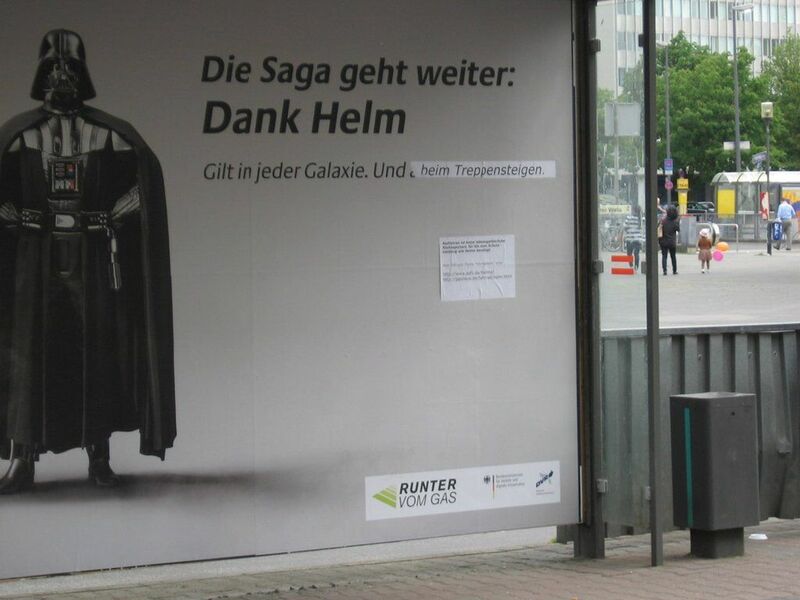 Frankfurt: "Works in every galaxy. And while walking."